We just submitted Sampression Lite Version 1.5 on WordPress which was temporarily suspended due to changes in isotope licensing policies. 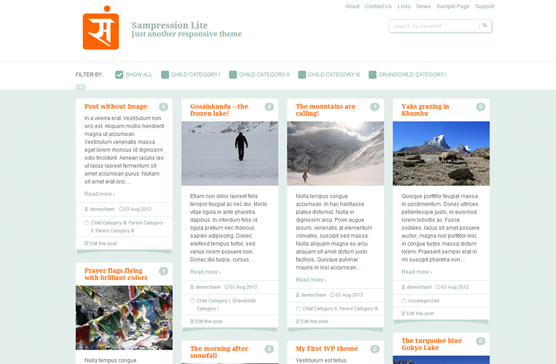 We’ve got our fingers crossed and hope that Sampression Lite will be listed again on WordPress. In the mean time you can still download our theme directly.